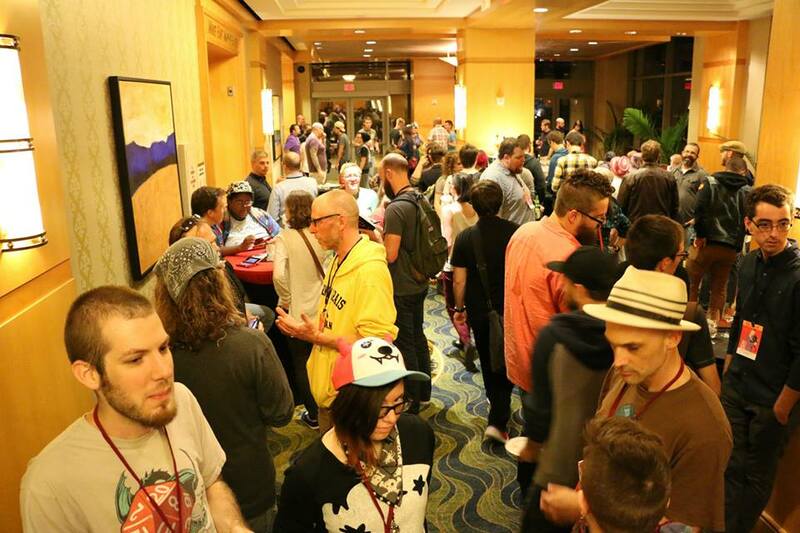 The indie comics gathering SPX has always had a special place in my heart. 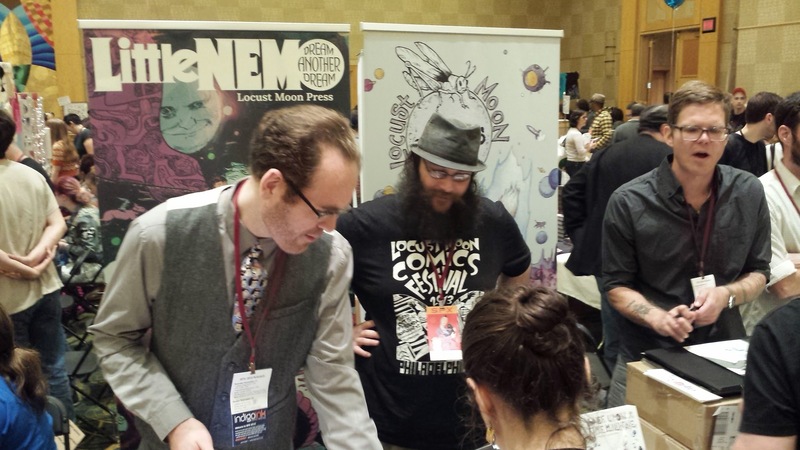 I exhibited at some of the first ones back in the 90s, and when I came back to comics in 2010, I was eager to return to see what the event had evolved into. I was happy to find it retained its original vibe and a sense of one big party! Everything is under one roof; hotel, convention floor, Ignatz Awards, Friday night meet and greet, restaurant, bar. So there are so many opportunities to run into old friends and make new ones. 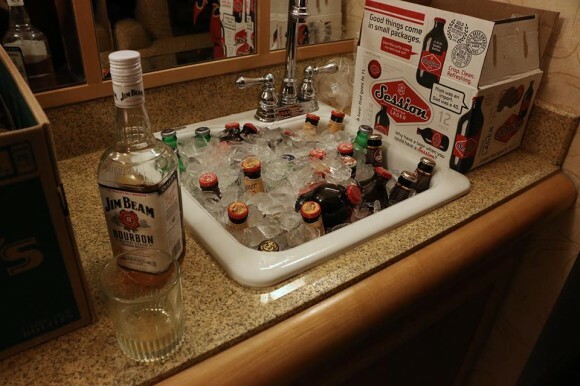 The venue is one of the best for social interaction. 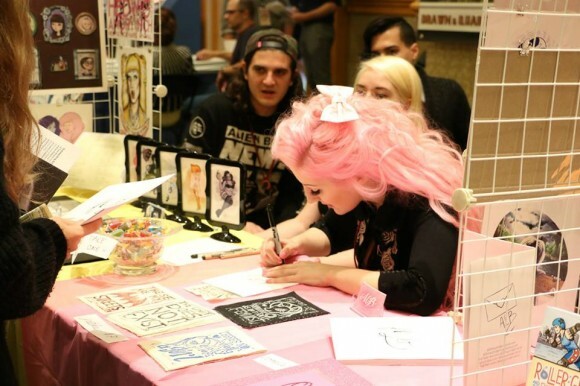 Unlike an event like MoCCA Fest in NYC, which has been held over the last few years in the Armory, once exhibitors leave there’s a vast selection of bars and hotels to split off into. 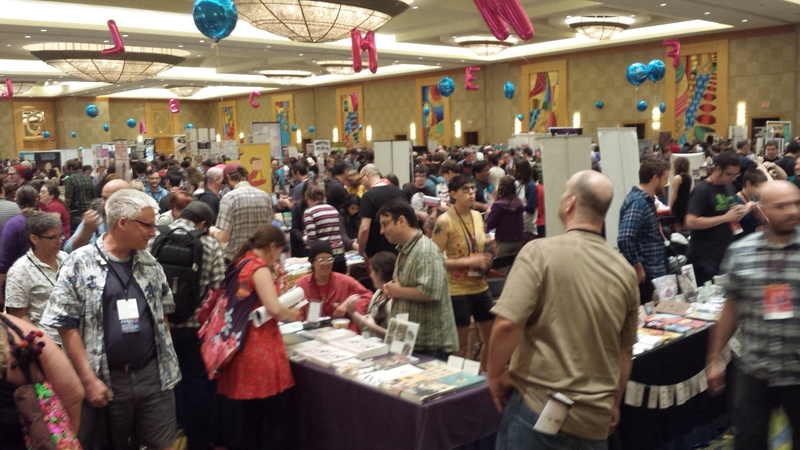 Just checking in at the Marriott Bethesda North I was great by at least half a dozen people I knew from comicdom. And early friday night there’s always a great meet and greet with a few drink tickets if you know the right people and some great food for the ubiquitous starving artist. 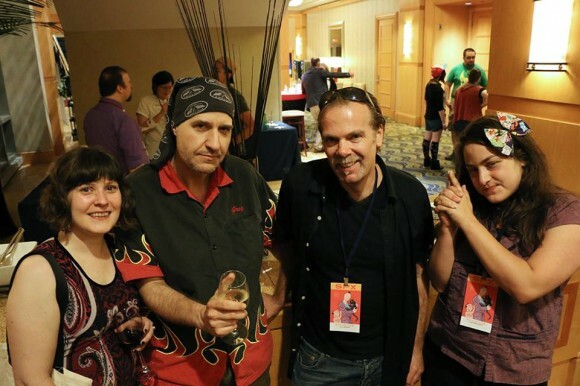 Here’s comicsreporter.com‘s Tom Spurgeon, and Too Much Coffee Man‘s Shannon Wheeler and yours truly while the night was still young. 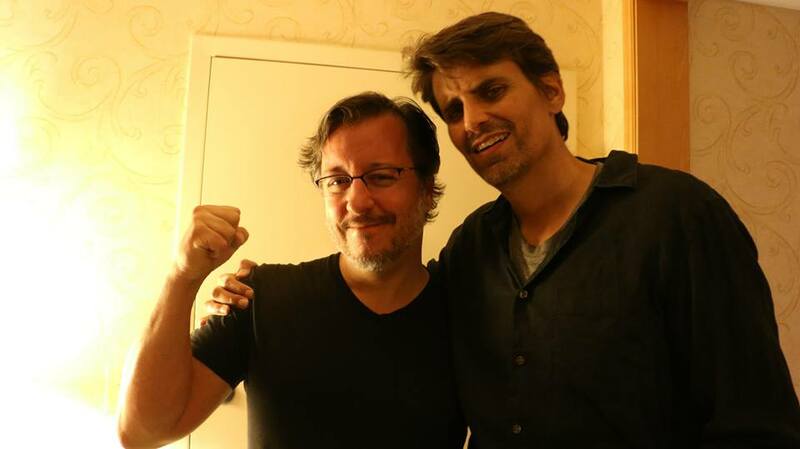 I’m guessing Shannon and I had probably done SPX back in 1998 together. Two of my favorite people who make SPX do what it does so well are Eden Miller and Greg Bennett. Greg has been guiding SPX since its inception. 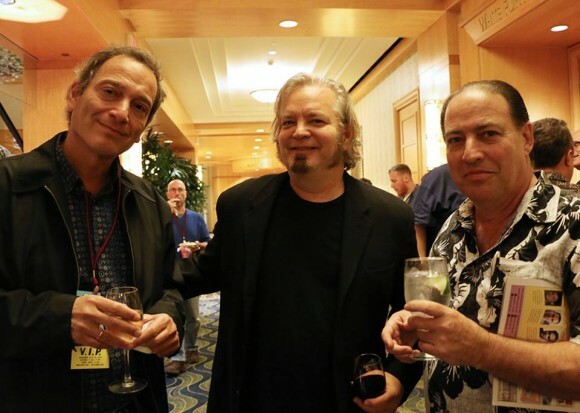 On the right are comic creators Nick Abadzis and Dre Grigoropol. Drew Friedman was at SPX to promote his new book Heroes of the Comics and I bent his ear about 70s album cover art while comic art collector Richard Greene pitched me ideas for guests for my next comic convention. 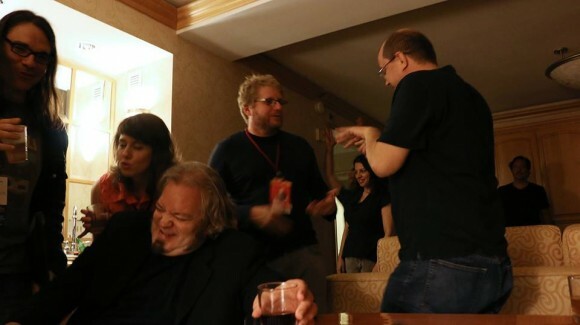 Much later that evening we wound up in Greg Bennett’s suit. From left to right Tom Scioli, Kelly Phillips, myself, Josh Neufeld, Christina Cassona and Chris Oarr. 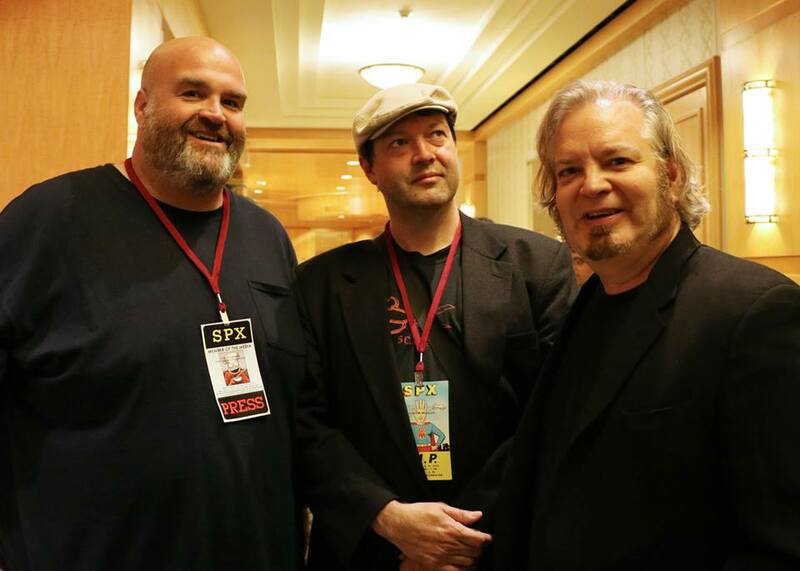 Two other guys from my early days in comics were also on hand; Dean Haspiel and Nick Bertozzi. The party finally broke up at 3 AM, but I found myself up at 6:30 am and stoked! I was in the gym by 7:30 Saturday morning and couldn’t wait to hit the expo floor. 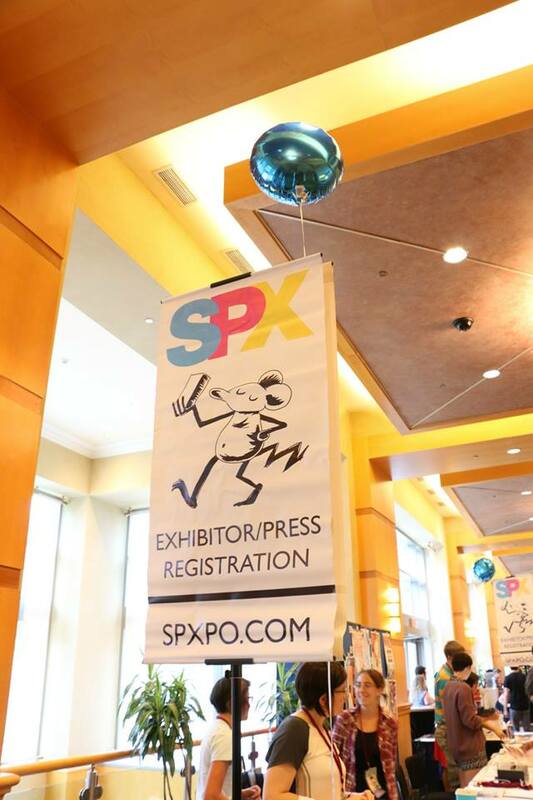 But SPX, being the partying con that it is, doesn’t make the exhibitors show up until 11 am on Saturday and a generous sleep-in starting time of noon on Sunday. All photos abouve by J.C. Luz. The floor was packed Saturday and Sunday and exhibitors reported doing well. Publishers Fantagraphics, Drawn and Quarterly, Top Shelf, and many others had a large selection of their catalog. Josh O’Neill and Chris Stevens of Locust Moon are the proud papas of their massively successful Little Nemo. Roller Girl pic by J.C. Luz. 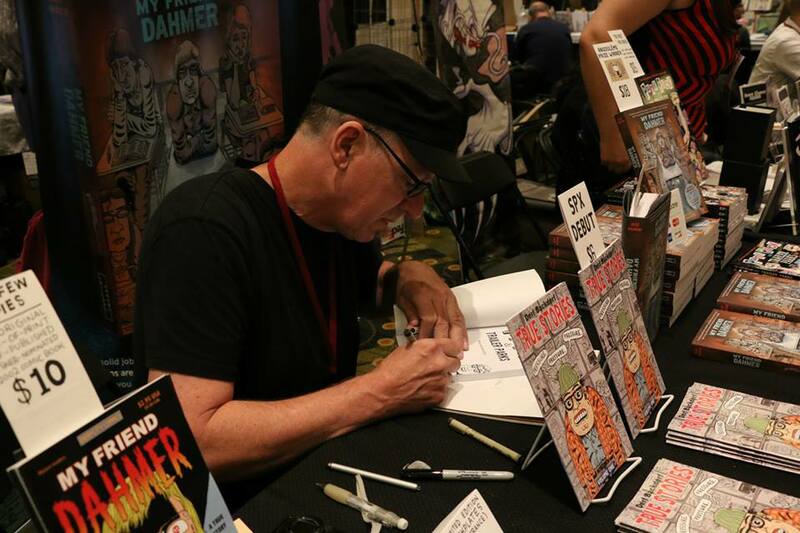 Derf Backderf was a comic signing machine. His Joey Ramone T-shirt makes me laugh every time I see it. 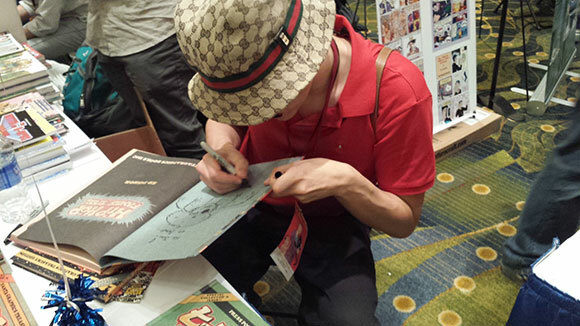 Ed Piskor seemed to never look up from signing copy after copy of his incredible Hip Hop Family Tree. I have no idea what these guys were doing, but they looked like they were having a blast doing it. Claire Connelly of Asbury Park, NJ. 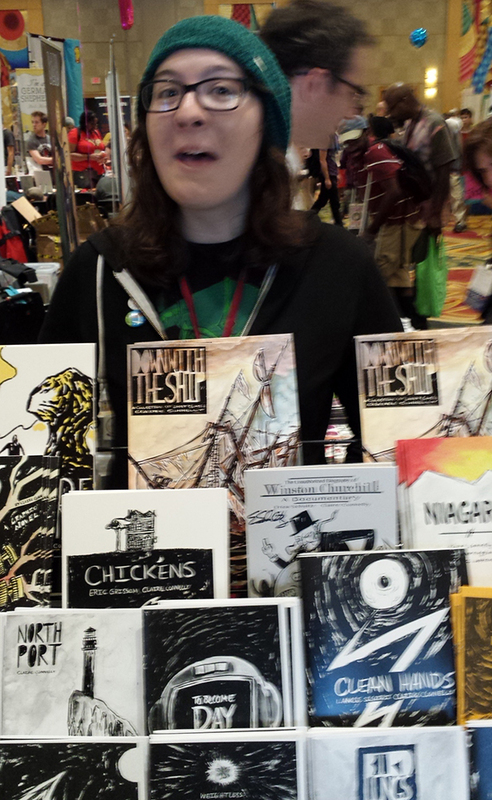 She was tabling without her sister Paige who did not attend. I believe we were yelling Paige is no fun! in this pic. 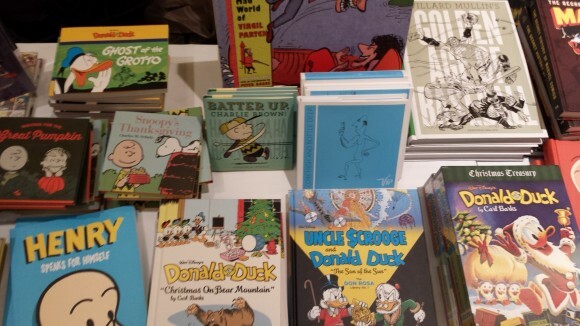 A bad pic of a great line of comics — Wuvable Oaf is a graphic delight. I dare you not to love this character. 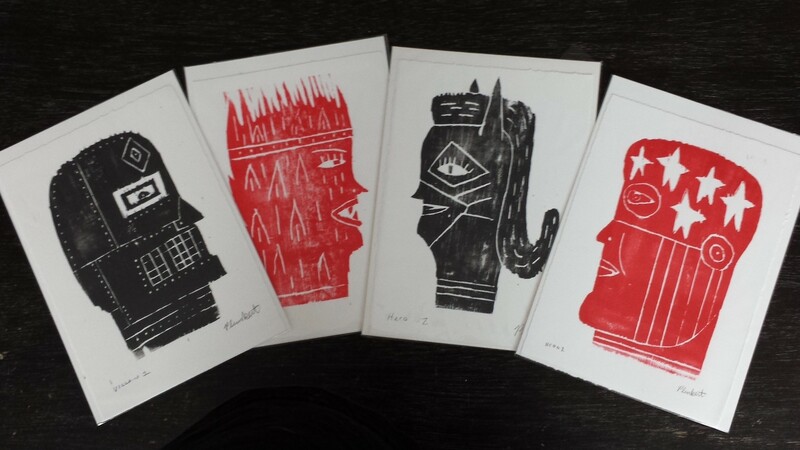 J.C. bought piles of David Plunkert’s books and prints. 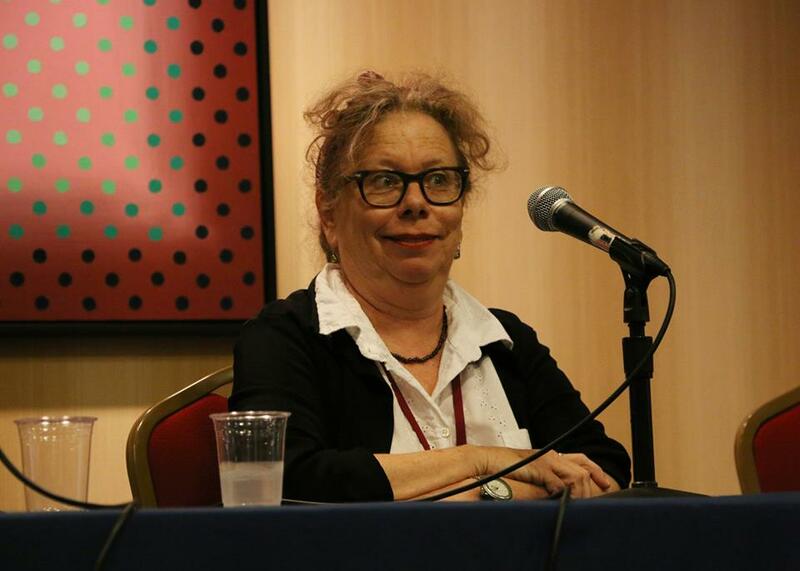 Lynda Barry jumped up, and said she’d handle it. Moments later, she came back waving us out like a school teacher during a fire drill saying “Yes, yes we should go.” Nobody knew or found out what had happened. We simply dispersed. Later, J.C. and I were discussing the incident on the elevator on our way back to our room. A woman who was in the elevator turned and said there was a bag that had been found that had gone unattended, and well.. But nothing exploded. And I don’t know if the cops were called or some comics fan eventually ambled up looking for a lost bag. Then there was some awards given out at the Ignatz. 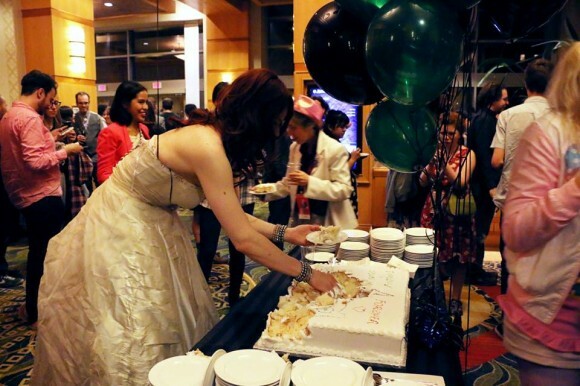 Later, the glamorous Simon Hanselmann handed out cake, that he scooped up with his hands. Because he could. This story was approved by the Comics Code Authority. No comic creators were hurt in the filing of this story, though it was touch and go at some moments. JC. 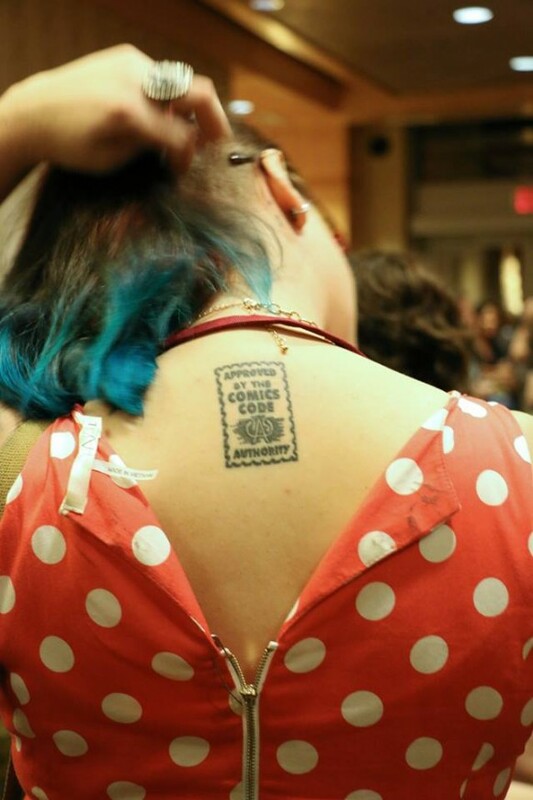 Luz got this great shot of a tatoo of the code stamp. 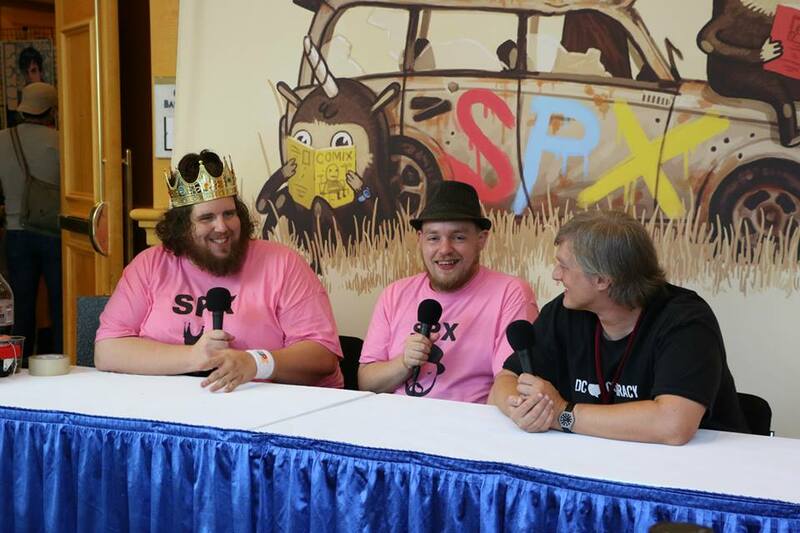 The two in the pink shirts with the microphones are Joe and Rusty, our favorite men-about-town. They do interviews with creators at the show, which should be posted eventually!